Wales is known for its castles and stone cottages, but it’s also a land of contemporary architecture. Visitors will find sleek, stylish buildings designed by talented – and well-known architects – in urban areas, heritage attractions and even National Parks. 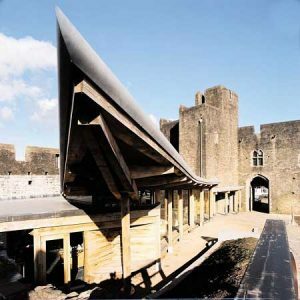 Welsh slate was used for the flooring and steel/lead for the roofs – a common feature in old castles. The pointed roof, a striking feature, rises up as if it were attacking the Gatehouse itself. The building faces south to maximize solar energy, and the adjoining moat’s thermal mass greatly reduces energy consumption. According to Davies Sutton, the design is a blend of traditional and modern. Traditional materials were used to honor the past, but modern construction methods were employed. Peter Roberts and Dale Owen of Percy Thomas Partnership won RIBA awards for Aberystwyth’s galleries and theatre and concert hall. New additions to the Arts Centre, created by Heatherwick Studio, include artists’ studios with walls adorned with crumped steel. 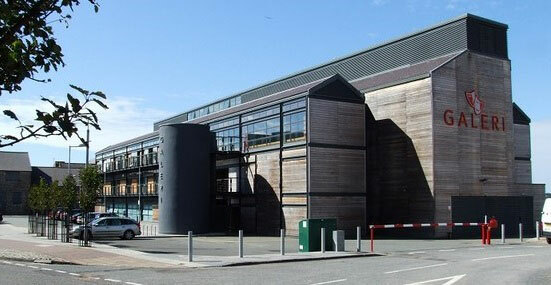 The idea for Galeri Caenarfon was conceived in 1995 by Richard Murphy Architects as part of its regeneration programme. In 2005, it opened next to Victoria Dock. The exterior of the building features a striking steel frame that gives the structure a warehouse vibe. Green oak boarding softens the wasteland feel, while the soft interiors make visitors feel at home. Using advanced technology, Cardiff’s Central Library Hub was designed with sustainability in mind. Designed by BDP Architects and inspired by book spines, the building’s exterior features a combination of metal and glass panels. 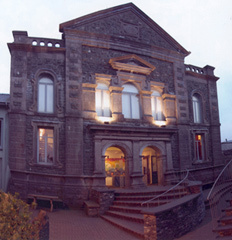 The building was opened by Manic Street Preachers and was made to serve as a venue for a wide range of events. Designed by Normal Foster and Partners, the Great Glass House opened in 2000 at the National Botanic Garden and was the largest in the world. The larger-than-life domed roof makes the interior sparkle on sunny days. Made of granite and glass, the Hafod Eyri-Snowdon Summit Building blends in with its surroundings. Shaped like a weaver’s shuttle, the building is nestled in the summit of Snowdon. The stone used to construct the building was sourced from Blaenau Ffestiniog. The building, completed in 2009, also serves as a terminus for the Snowdon Mountain Railway, a café for hikers and a visitor’s centre. Designed by Richard Rogers Partnership, the Senedd parliament building features a tree-like funnel that allows natural light to fill the reception area. Only parts of the building are open to the public, but you can take a virtual tour of the Senedd on the National Assembly’s website. 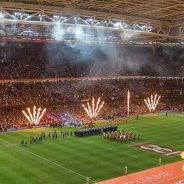 Welsh rugby fans agree – the Principality Stadium was worth the £121 million it cost to build. In between matches, fans can visit the stadium and take a tour, where guides lead you through the rugby team’s dressing room, the Dragon’s Lair, down the tunnel and onto the pitch itself. Designed by Jonathan Adams of Percy Thomas Architects, the Wales Millennium Centre has a striking design that is impossible to miss. 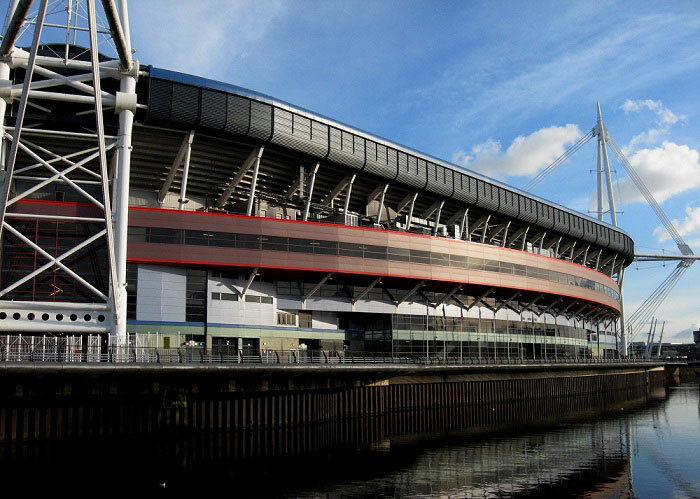 The building may have only been completed in 2009, but it’s already an icon of contemporary design in Wales. Some say the design is too stereotypical due to the use of steel, copper, stone and calligraphy. But most find the building to be distinctly Welsh. The Ruthin Craft Centre was designed by Sergison Bates Architect and features an unmistakable zinc roofline. The building features tasteful lighting and exhibition space design along with a café and workshops. The courtyard terrace and terracotta-coloured stone add to the unique design of the centre. This museum is home to artists from throughout the world, and regularly holds special exhibitions for some of the world’s most famous pieces. Split into three sections – Impressionist & Modern Art, Historic Art, and Applied Art – it offers something to every type of art lover. 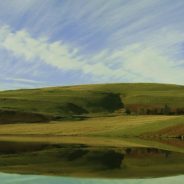 This gallery is a shrine for modern Welsh art, exhibiting work from some of the country’s most famous names – names such as Kyffin Williams, Graham Sutherland and Josef Herman. Spread across three floors, there’s more than enough here to keep fans of contemporary art interested for a long while. This gallery is a tribute to one of Wales’ best-loved artists, Kyffin Williams. Williams was inspired by Anglesey throughout his life, and this gallery features a huge number of his works. It has also just undergone a million-pound refurbishment. As the name suggests, this is a building devoted to modern art. Situated in a converted Wesleyan chapel, this museum features a stunning collection of modern masterpieces, as well as holds a number of impressive special exhibitions. This is a beautiful looking gallery, which has been renovated to provide a fantastic viewing area for some of the best contemporary Welsh art. It’s not just Welsh artists who feature here though, as there are also many displays from big names from around the world, spread throughout their five different exhibition spaces. The Royal Cambrian Academy was founded in 1881, by a group of British artists inspired by the landscape of north Wales. It isn’t open all the time, as it holds just six exhibitions a year, but they shouldn’t be missed if you get the chance to visit one of them. This gallery is partnered with the Tate, so you know it will be good. It is currently being renovated though, but you’ll still be able to see many of the exhibits, as they are using various locations in Swansea to display them. The massive renovation is expected to be completed soon though. Located in a 19th century mansion, this gallery houses the private collection of the Jones-Parry family. 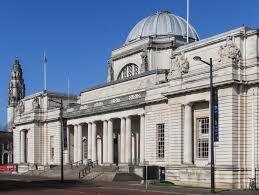 It focuses mainly on contemporary art, with works from famous artists not just in Wales, but from throughout the world. Even if you aren’t an art fan, the building is worth visiting in its own right. St David’s in the smallest city in Britain and is home to this interesting gallery, featuring many pieces of art taken from the National Museum of Wales. Aside from the art, it is also a great place to find out about the area, so should be visited by everyone coming to Pembrokeshire on holiday. 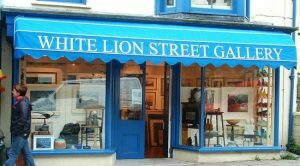 Many people forget about west Wales when thinking about art in the country, however the White Lion Street Gallery in Tenby features some fantastic work from local artists, including sculptures and ceramics. Boat International has announced their young designer finalists for 2016. 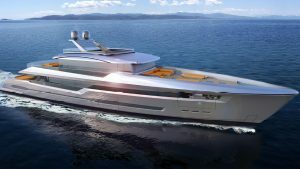 The finalists have all been asked to expand on a 45-metre yacht with a complete arrangement plan and a deckhouse (optional). Baoqi Xiao: Offering a general arrangement, Xiao offers an entire upper deck as the owner’s cabin, and includes a saloon and a guest cabin. A sauna and spa were also included in the design. There is a beach club for entertaining as well as a cinema with ample space dedicated to the ship’s crew. Lujac Desautel: Layering spaces occupy this unique yacht with use of outdoor space being the centerpiece of the design. Terraces overlap with unique shapes, a diving board is built into one terrace, with a dance floor, outdoor living room and an open air cinema, too. Leah Gowoon Park: Park offers sun lounges on the fly deck with all outdoor areas enclosed in glass. The top deck offers a dining area, while a pool house is on the main deck. A salon and spa can be found on the lower deck, while the dressing room can fit 5 people. Ben Hills: A futuristic design was provided with this hip yacht. The yacht is designed for the fashion designer client, with a catwalk, dressing room and a beauty salon. A Dj deck is included along with a Jacuzzi and sun loungers. A cinema is onboard along with two guest cabins and two crew cabins. 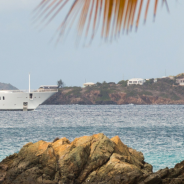 Marlena Ratajska: Marlena provides a fun yacht that offers an upper deck with the owner’s suite and an owner’s deck, too. Glass walls are used on these decks to provide the best views to the owners, while the main deck includes a dining area, grill, saloon, two spas and a beauty salon indoors. A cinema and Jacuzzi are also on board. A gym and sauna have been incorporated into the design as well. Dave Rowles: Dave’s design offers an exaggerated upper deck with a dining area and comfortable seating. The main deck offers a seating area that can be quickly converted into a cinema for entertaining. Indoors, there is a spa, sauna and main saloon. There is also a toy garage on the lower deck as well as accommodations for guests. All of the designs have integrated luxury and modern spaces with a touch of style. Utilizing outdoor space was at the center of each design. Unique, classy and expensive, all of these designs are sure to impress the high-ticket buyer. This article was kindly brought to you by Home Gym Sumo the home of indoor rowers. This year’s CMW has a special focus on the United Kingdom and Ireland, giving Wales the first chance in 16 years to showcase their strong, eclectic musical talent. Among those vying for the attention of media and industry leaders at the event, Welsh musicians hope to stand out above the rest with originality and substance. Acoustic singer-song writer Dan Bettridge is one such musician, whose heartfelt serenading could easily be mistaken for that of a much more experienced artists. Catching this artist so early in his career is a real treat, and he’s the perfect representation of a fresh Welsh talent and perspective. Check out his EP, Hunter’s Heart, or his acclaimed single, Third Eye Blind. The Undivided, a four-man indie-rock group from South Wales, are also making the trip to Toronto. This band promises music “you can’t ignore”, evident in their explosive live performances. Like all of the Welsh musicians at this year’s CMW, The Undivided hold broad international appeal and are exceptional within their genre. Their debut album, This New Day, gave us great songs like the Breathe and World’s Apart, but don’t miss out on their mini-album, Safety. 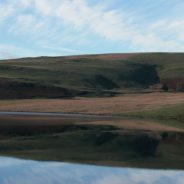 Violet Skies, a solo artist from Chepstow, has also been invited to share her unique, ethereal sound. Over the past three years, Violet Skies has produced an impressive discography including transcendent ballads like One Day, Three Autumns, and soulful, R&B-inspired tracks like How the Mighty. 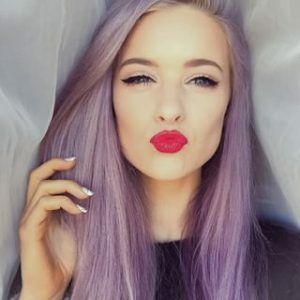 She is especially adored for her versatility, and is reminiscent of artists like Joanna Newsome, using her limitless vocal-range as an instrument in its own right, with world-class results. Bringing a laid-back, folk-rock vibe to the event, The People The Poet will be presented following the success of their debut album, The Narrator. Critics love their live performances, citing them a experiences of a genuine musician/audience connection. Of note from their full-length album include the tracks Being Human and People, two songs which highlight the band’s special sound. Not to be forgotten, the psychedelic trio from HMS Morris will be performing with the likes of Pet Sun and Terrorista on May 4th. Their otherworldly sound comes courtesy of vocals and synth by Heledd Watkins, Sam Roberts on bass and even more synth, and Wil Roberts on drums. Their music is available on Soundcloud or via their website, which is as simple as their music is complex. Last, but certainly not least, Peasant’s King will bring their pop-soul perspective from Pontypridd, and Llanelli natives Cut Ribbons plan to make an impression with their electric-pop. Both bands are sure to catch the attention of audiences and industry leaders alike with their well-produced sound and polished performances. The musicians chosen to represent Wales at the CMW this year truly and proudly reflect the high level of new talent coming from the country. If Wales must wait another 17 years for the opportunity, she can know that the best artists were chosen this year to showcase her talents to the world. 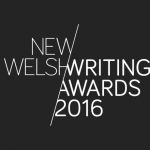 The New Welsh Writing Awards is a prestigious writing prize. This year it celebrates the best of travel writing from those based in the UK and Ireland, with the proviso that the authors have been educated in Wales. It’s only open to those submitting entries of between 5,000 and 30,000 words, and the prize is always judged by prominent figures in the writing world. The 2016 award is due to have its longlist announced on 20th April, while the shortlist will be announced on 1st June. The award ceremony itself will take place at the Royal Welsh College of Music and Art on 7th July. Those wishing to enter have unfortunately missed the deadline though, so will have to wait until next year’s competition instead. Last year’s award was judged on the best writing on nature and the environment, and was won by Eluned Gramich, who wrote Scenes from a Hokkaidan Life. She won a £1,000 prize, as well as had the honour of seeing her work digitally printed by New Welsh Rarebite. 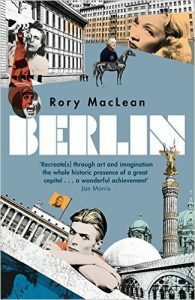 No indication has been given as to the works that will be on this year’s longlist though, so it is impossible to predict who will join Gramich as a winner of this prestigious award. But what exactly is the purpose to this award? After all, there are many other literary awards throughout the world, so why should those with a Welsh education consider entering? The answer is simple: it’s a way to promote the literary talent found throughout the country, and to encourage Welsh students, both past and present, to get writing. The £1,000 prize is, of course, a great incentive, but the real prize is the fact that the winner will get the impetus they need to continue their writing career, and hopefully thrive. 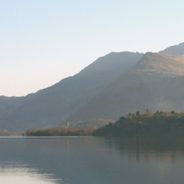 In order to win the top prize, authors will have to show a fantastic mastery of the English language (it is only open to those writing in English, despite the fact that it’s a Welsh award), but more importantly, they’ll have to be able to convey their travelling experiences in a way that draws in the reader. Many people can write, but not many have the skill to turn words into something more interesting. If you have missed the deadline to submit your work, the prize will be back in 2017, although the theme is as yet unknown. Just because you don’t know the theme yet though, it shouldn’t stop you from putting pen to paper and practicing your craft, ready for next year’s submission. You might think that laser cutting is something mainly associated with heavy industry, and you would be right. However, in this age of international outsourcing and limited opportunities for many, professional laser cutters have had to find new avenues of work, and one of the most exciting of these is laser cutting artwork. 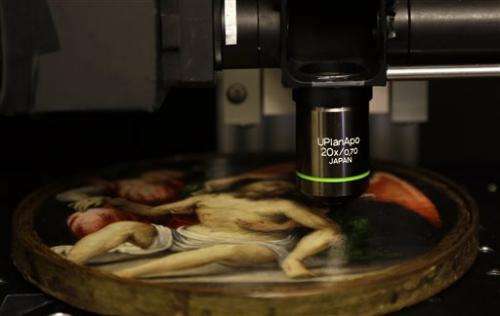 Yes, that’s right: these highly powerful lasers, used to cut through some of the world’s toughest metal, have now been tamed to produce stunning pieces of art. Many of the UK’s best-known artists and designers have jumped on the bandwagon and started commissioning or designing artwork that makes use of laser cutting techniques, and the results can range from small pieces through to ginormous statues, designed to make a bold statement wherever they are placed. Generally, laser art is created by a laser cutting professional, however they are not usually the creative geniuses behind the project. Instead, they work from detailed drawings or illustrations, which are supplied by the client. Of course, laser cutters will have some input though, advising clients when something is quite simply impossible. Laser cutting, as the name suggests, is a process whereby a laser is used to cut through material, most often metal or wood, in an incredibly precise manner. The lasers used are extremely strong – far stronger than the lasers used for procedures such as laser eye surgery, for example – and only a select few professionals in Wales are able to carry out this skilled and potentially dangerous job. Laser cutting offers a few advantages, with the biggest being the fact that it is by far the fastest way to get materials cut to size. The fact that laser cutting is so precise is also very important, as artists usually need the pieces to be at exact lengths and widths, to ensure that their vision isn’t changed in any way. Using a professional company for laser cutting can also make sourcing materials much easier, as they’ll generally do it for you, plus they’ll also usually be able to get the materials at a much cheaper price. Do Laser Cutters Offer Any Other Services? Yes, they certainly do. Perhaps the most popular is laser engraving, which means that even the most complex patterns can be quickly and accurately engraved onto any surface. Many people choose to use laser engraving for things such as trophies or other important items, plus it can also be used to exquisitely decorate larger surfaces, in a way that a human with a chisel simply couldn’t manage. There are also the industrial uses to mention as well, which still account for the bulk of work carried out by laser cutting companies. Are There Many Laser Cutting Companies in Wales? Wales has long been home to a vibrant art community, so when it comes to laser cutting for artwork, it is a hotbed. Anyone looking for laser cutting for any reason will certainly be able to find what they’re looking for, and there are many boutique laser cutting companies specialising in artwork springing up all the time. When you think of Welsh literature, a few names are likely to spring to mind – names such as Dylan Thomas and RS Thomas, amongst many others. But Welsh literature has a far wider spectrum than these more modern writers, as it spans back almost 1500 years, all the way back to the late 6th century. This first group of Welsh writers were known as Y Cynfeirdd (The Early Poets) and included such famous luminaries as Taliesin and Aneirin. There’s a curious thing about these very first Welsh writers though – they didn’t actually write in present-day Wales, as at their time Wales spread far into northern England and southern Scotland. It wasn’t until the Anglo-Saxons arrived that the boundaries of Wales were pushed back to where they sit today. It was these poets who set the standard for years to come though, praising their subjects lavishly. This so-called “praise poetry” continued into the time of Y Gogynfeird (otherwise known as the Fairly Early Poets). The difference between the Early Poets and the Fairly Early Poets is large though, as the latter were poets by profession, earning their daily crust by providing prose to anyone willing to pay them. Mabinogion was written. This is a collection of stories, compiled from the oral tales told by much earlier authors. This collection of stories speaks of, among other things, the Arthurian legend, and is the earliest piece of prose from Great Britain. 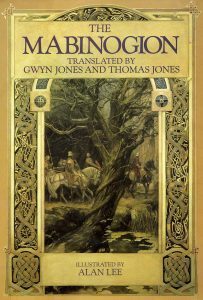 At the time they didn’t go by this name, as The Mabinogion was not coined until the 19th century. Perhaps the most famous poetic figure of this time was Dafydd ap Gwilym, a sculpture of whom can be seen in City Hall, Cardiff. While other poets of the time concentrated on writing for their clients, he was one of the first to introduce his own personal feelings into his work, often addressing his feelings of love for two particular women. Many of his poems still survive to this day, however some of the more famous ones include Merched Llanbadarn, Yr Wylan and Morfudd fel yr haul. 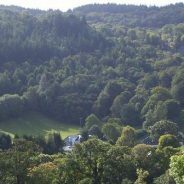 Women poets seem to be almost invisible in early Welsh poetry, but there is one exception: Gwerful Mechain. She is the only female Welsh poet from the time who still has work around today, and was mainly active during the late 1400s. Her poems were particularly notable for their sexual themes, which further marked her out from the normal poets of the time. These poets and writers of the early times undoubtedly shaped Welsh literature in huge ways. So, next time you read Dylan Thomas, just think that he might not have been around had it not been for those poets from many centuries past. Perfectrower.co.uk - A comprehensive resource of rowing machine reviews and guides.